Tapareef ... perfect products for the environmentally conscious, adventurous females! Travelling with pups make everything even better! 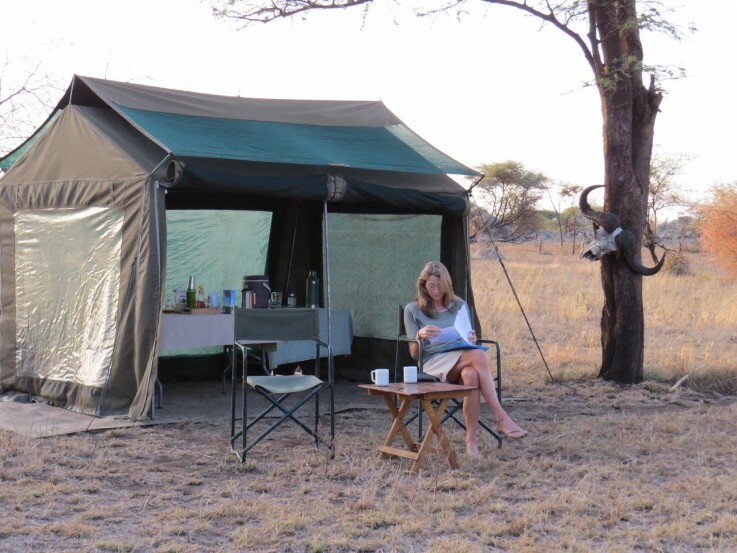 Christine in Africa ... always working! 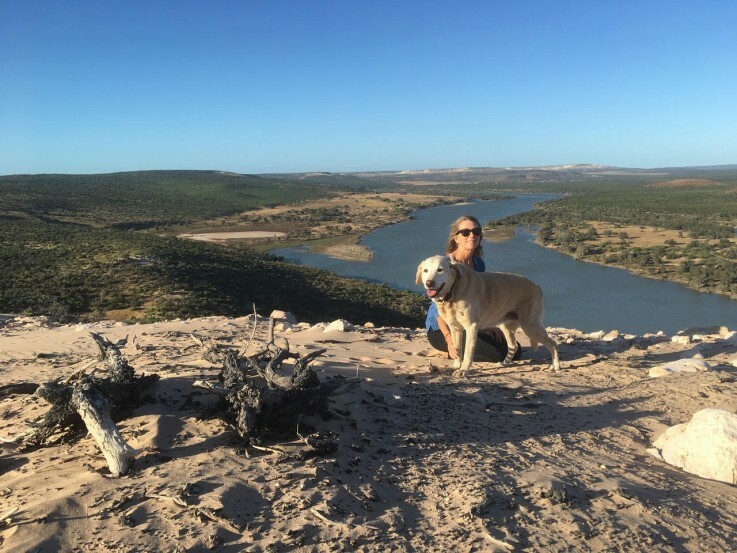 As a passionate surfer, experienced traveler and outdoor sports enthusiast, Christine has her fingers firmly on the female adventurer’s pulse and identified a gap in the market for beauty products for ocean-dwelling, intrepid women. From zinc smeared faces, to salt tangled and sun-scorched hair, Christine struggled to find the products she was after, particularly those with an environmental conscience. Drawing from her professional experience working with start-ups and entrepreneurs, Christine took the plunge to become one herself and began developing her own line of products, produced using natural ingredients, under her brand name, TapaReef. With a humble and hardworking approach, and a headspace that sits firmly with female empowerment and environmental awareness, Christine has brought her brand to Australia, the U.S. and beyond and boasts WQS Pro Surfer, Philippa Anderson as one of Tapareef’s brand ambassadors. Kind of all over. My father worked for a multinational company and I ended up doing the same so I’ve moved around since I was young - from the U.S. to the Marshall Islands, back to the U.S., then Guam to Australia and recently back to the U.S.
Where do you call home now, and how did you end up there? My husband and I just moved to the central East coast of Florida after 20+ years in Australia. We came here to be closer to family but have plans to spend part of the year in Australia once we finish building our house. Tell us about your brand TapaReef. I have always loved travel and outdoor sports - surfing, skiing, rock climbing and mountain biking mostly. Over the years, I have met so many women who also love to participate in adventure sports and travel; both as a profession and a hobby. 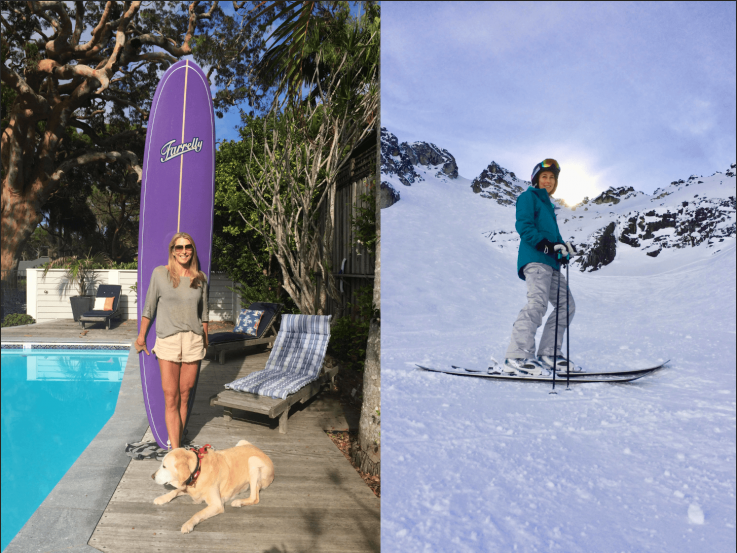 I am so inspired by women who get out there and challenge the status quo, whether it’s chasing big waves, finding the steepest off-piste descent or making compromises to live an alternative lifestyle. But equally, I admire women who are willing to challenge themselves within their personal limits even if they will never be an extreme surfer or skier. These are the people I had in mind when we started developing the TapaReef line of products. I think the idea of living an interesting, exciting life and looking after yourself and the environment go hand-in-hand and the idea of “Live Big, Look Good” was born. What was the inspiration behind setting up your brand? Tell us about the journey from its inception as just an idea, to creating and launching your first product. I’ve been travelling my whole life and often to some pretty remote locations. When I started travelling for surf, there weren’t really any surf resorts and travel was pretty low key – public transport and camping generally, or renting a room from locals. There weren’t as many female surf travelers back then and it was sort of frowned upon to let on that you cared about your appearance, let alone travel with a full beauty kit. Now there are surf camps everywhere and just so many gorgeous, talented female surfers. With the increased profile of surfing and female athletes through sponsorships and social media, it’s natural that both men and women are more aware of how to look after their health, hair and skin. I could never find products that were travel friendly and did things like get sticky zinc sunscreen off my skin so I didn’t break out or keep my hair from getting trashed in the surf so I decided to start a company to have them specially developed. It took over 3 years working with a cosmetic chemist and manufacturer to get the first couple of products through the development and testing stage and to market. What’s your favourite place Tapareef has taken you too? We first came up with the idea of starting TapaReef on a trip to G-land. That was fun! Tapareef is an environmentally conscious brand. Tell us about this process of creating environmentally friendly products, and how you incorporated your core beliefs in to your brand. There are so many people and organizations doing fantastic things to raise awareness of environmental issues and the impact of our modern society on the planet around us. I think everyone can and should make a contribution whether it be large or small. 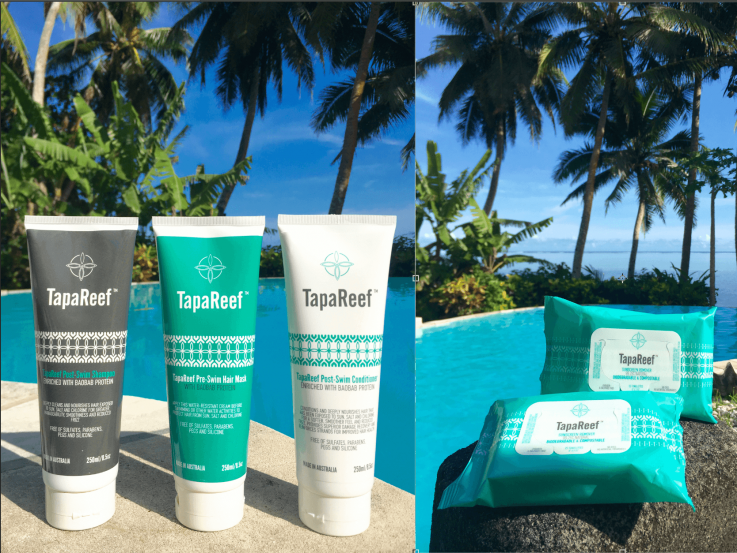 With TapaReef, we just try to provide people with products to make their life a bit simpler with as little environmental impact as possible. For a small company, this is not easy. Take packaging for example, we try to avoid any secondary packaging and use recyclable or biodegradable components. We are now looking to move to post-consumer recycled plastic for our hair care line but the minimum quantities that are required have been a hurdle for us in the past given our size. We simply couldn’t afford this in the first couple of years. In addition, we produce small batches from manufacturers in Australia and the U.S. that we trust to follow sustainable manufacturing practices and use the ingredients and suppliers we’ve specified. There are some ingredients like certain preservatives that we simply refuse to use due to health or environmental concerns. It is more expensive to produce but we don’t feel comfortable outsourcing this to a manufacturer that may not adhere to the same standards. We are also a member of 1% For the Planet which connects businesses with nonprofit partners. Members donate 1% of total sales to environmental organizations that have been vetted and approved. I fully support the concept of connecting “dollars with doers” and that a focus on growth and a focus on the environment aren’t mutually exclusive. It’s a no-brainer. What did you do before you started Tapareef? I worked in business and finance and in mergers and acquisitions with both small start-ups and large multinational companies. It sparked my interest in entrepreneurship, but I still had no idea what I was getting into. Being able to use my background and skills to build a company and a lifestyle that I love and that is aligned with my personal values. What are you up to right now? And what’s up for you next? My husband and I just spent the last 4 months travelling around the U.S. and Canadian Northwest skiing and getting reacquainted with North America. We took our 16 year old yellow Labrador with us. She is a rescue dog from Australia that we brought to the U.S. when we moved! Now we are building a house on the barrier island in Central Florida. Although definitely not off the grid, it will have solar and water catchment and allow us to be somewhat self-sufficient. Once we finish that, we are off travelling again. Fortunately, I can work anywhere I can get internet or a hotspot. TapaReef has a couple of additional products in the pipeline and I’m looking forward to releasing at least one over the next year to complement our existing products. What advice would you give to anyone looking to start their own brand/product? Be patient and persistent and don’t quit your day job. I am surrounded by amazing women in my family. My late grandmother, Mom, aunt, sisters and sisters-in-law are educated, motivated, pioneering women with a strong social conscience. Lawyers, educators, business owners, arts lovers and adventurers - a pretty intimidating girl gang to be around. And to give the guys their due, my Dad was someone I was immensely proud of and my biggest champion. He grew up in the Bronx, joined the airforce, went to college on the G.I. bill and earned a senior role in one of the most prestigious institutions in the U.S. He was always humble, incredibly grateful for the opportunities he had been offered and enjoyed every day. I would love to spend a day with my great grandmother! She died when I was 4 but I have heard so much about what a strong and caring women she was. She had a really interesting background and I would spend the day on her front porch (she lived in a beautiful Victorian house in upstate NY that is still in the family) having her tell me all about her family history. Strangely, I’ve never thought about that. It’s hard enough just being myself. So many things are possible if you are not afraid to ask and are willing to work for it. Of all the places you have travelled to, what place in particular stands out? And why? Africa is a magical place to me. Everything from the people, the culture, the landscape and the animals to the light and the way the air smells is special. I am grateful to have been born in a country that is relatively politically and economically stable, where education is encouraged and opportunities are available. People are always talking about luck but to me that is my luck. When and how did your passion for surfing start? I met my husband, a keen surfer, at university. I grew up on the ocean and was a lifeguard and on the swim team all through high school but had never surfed. I sat on the beach for the first few weeks we were dating but got bored pretty quickly so grabbed one of his boards and paddled out. What does surfing mean to you, and how has it changed your life? Surfing is like a multi-vitamin – it has everything that’s good for you in one little pill. It’s a way to connect with nature, travel, exercise, socialize, meditate. All you need is a board and some water. Oh yeah, and waves. Ha, ha! Does anyone ever answer that question? A few years ago I got a Midget Farrelly 9’6” longboard for Christmas. Midget was a friend of ours in Australia before he passed away in 2016 and when I told him I was struggling to get the board figured out, he told me that all of his daughters and granddaughters had learned to surf on that board shape so he was sure I would be able to master it. His daughters are beautiful surfers and I’m definitely not there, but especially now that Midget is gone, that board has a special place in my heart. As far as short boards, I’ve ridden pretty much the same short board shape for 20 years made by an Australian shaper and I still love it. ...my husband, my dog, my family, a good champagne and travelling. ...we were becoming less, not more, polarized as a planet.